30 posts categorized "Plastic Bag Tax"
On August 18, Seattle voters rejected a 20-cent fee on use-and-toss bags. With about half the votes counted, the bag fee was falling behind 58 percent to 42 percent in the primary. The city had originally passed an ordinance to implement the fee, which would have started in January. However, the plastic industry incited a referendum that brought the issue to voters in an election this August. Groups against the fee outspent opponents by about $15-to-1. Our Take: Having backed the fee from the start, we are disappointed it didn’t pass. However, more than 46 percent of people voted for the fee, which is pretty huge and shows that bag fees represent a smart, market-based solution to the problem. 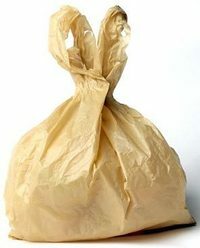 “Four weeks after introducing a $0.05 charge for single-use grocery bags, Metro grocery stores across Quebec and Ontario (Metro, Metro Plus, Super C and Marche Richelieu) are reporting that 70 percent fewer bags have been distributed in store, when compared to the monthly average. Our Take: We’ve long been in favor of bag fees as way to influence change in consumption habits. Usually, it takes government action (like the PlastTax or Seattle’s proposed bag fee) to establish a fee, but this is a great example of a retailer taking the matter into their own hands – and succeeding! A 5-cent fee is generally thought to be too small to really change consumer behavior, but this example shows that every bit counts! According to a new poll commissioned by Seattle news station KING 5, support for Seattle’s landmark bag fee is gaining ground - with 47 percent of respondents saying they’d vote in favor of the fee and 46 percent saying they’d vote against it. Our Take: It’s such a close race, and the Aug. 18 vote is coming quickly. With many voters still undecided, the Green Bag Campaign needs your help now more than ever - learn more about this important legislation and the simple ways you can help! Modeled after Ireland's successful PlasTax, if Seattle's bag fee passes, it's the perfect opportunity for this model to take hold in the U.S.
"The July 8 public hearing on Seattle's proposed 20-cent tax on disposable grocery bags and a ban on polystyrene foam food containers felt like the Fremont Street Fair. People celebrated. There were speeches on the evils of plastic, singing grannies waving reusable bags and evil monsters parading about the hearing room. In such an atmosphere, it was difficult for the council and mayor to do anything other than say yes to the proposals. But there were good reasons to say no...." Read the full article here. “We don’t have a litter problem” - To begin, a 5-mile walk is hardly a scientific study of a major metropolitan area, and statistics on plastic bag litter suggest otherwise. 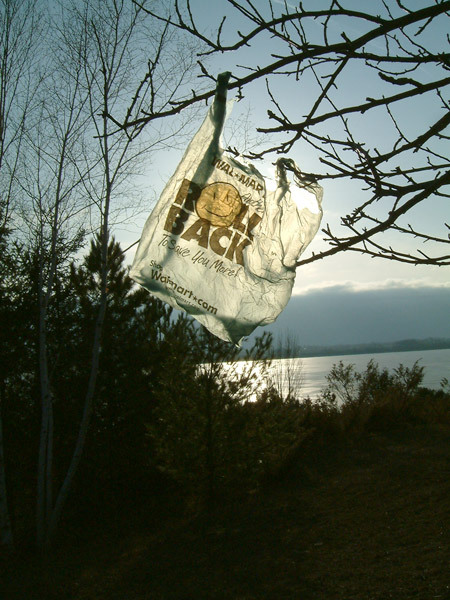 It takes a single plastic bag more than 1,000 years to degrade, so even if you currently don’t see a litter problem, it doesn’t mean you don’t have one – or won’t in the future. “these currently free bags…” - As an economics teacher, surely Mr. Nickerson has taught “There’s no such thing as a free lunch.” There’s no such thing as a “free plastic bag” either. The annual cost to U.S. retailers alone is $4 billion, passed on to consumers in the form of higher prices. And production of bags requires use of valuable natural resources we’re accustomed to paying a premium for. “…we will buy reusable bags, probably by the millions.” – Cheap reusables do create a new version of the same old problem – an issue that’s blown out of control since flimsy polypropylene bags flooded the market. However, there are other plenty of other win-win options out there, like high-quality reusables made from durable, washable materials. 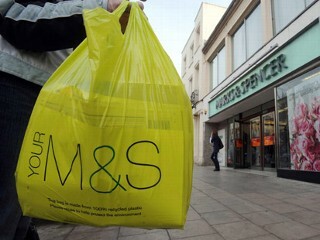 “…consumption of plastic bag liners doubled as a result of the tax” - There are definitely some uses for plastic bags, but whether you pay for them at the register or by the box, you’ll only buy as many as you need and not much more. “Doubled” sounds huge, but with free-of-charge plastic bags being handed out profusely, the original number of liners purchased was probably negligible. It’s a bad idea to try to eliminate a necessity (a solid argument against plastic bag bans), but it’s sensible to charge for the consumption of a resource that’s not free to produce. 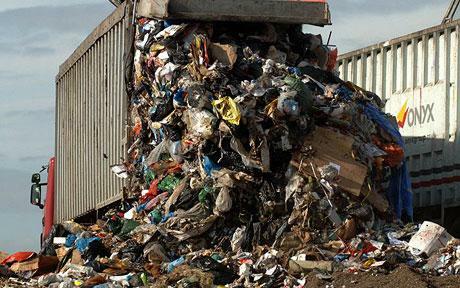 “We should strongly consider what NYC did this spring: promote recycling” - Recycling is definitely a good practice, but (at the high end) only about 3 percent of plastic bags are recycled – which pales in comparison to the >90% reduction in consumption spurred by Ireland’s PlasTax. Plus, the prohibitive cost of processing and recycling plastic bags leads to all sorts unintended, negative consequences. The tax will affect plastic goblets, knives and forks, and non-biodegradable paper plates and napkins. Our Take: France takes a big step -- another example (like plastic bag fees) of government applying pressure and targeting use-and-toss items in order to change consumption habits. Whether the initiative succeeds or fails, it raises awareness about the hidden costs of disposable items and their massive over-consumption.